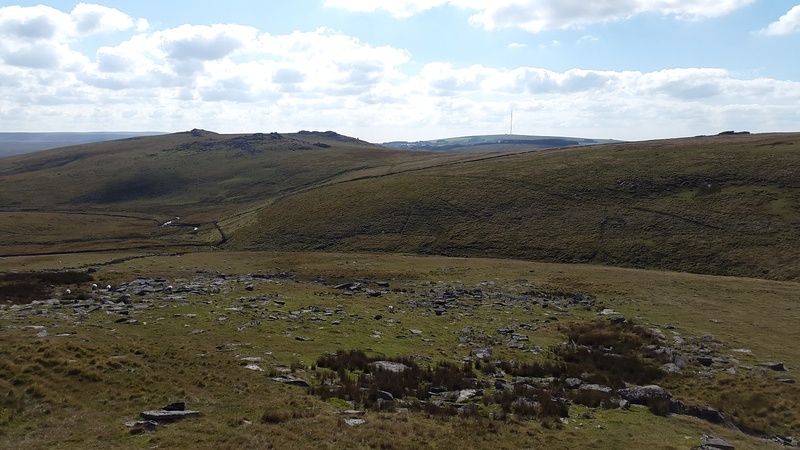 The name Crow Tor comes from the appearance of this tor which resembles a crow’s beak!. The views from this tor, which sits on the side of the West Dart Valley, are pretty good. 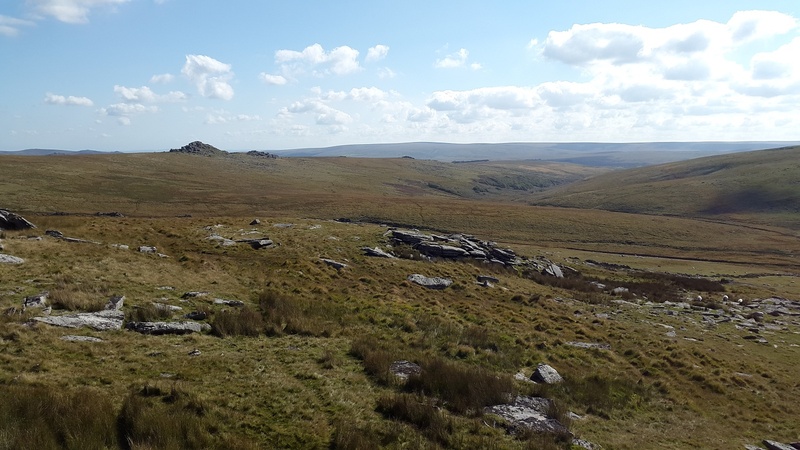 Especially along the valley floor and across to Longaford Tor. 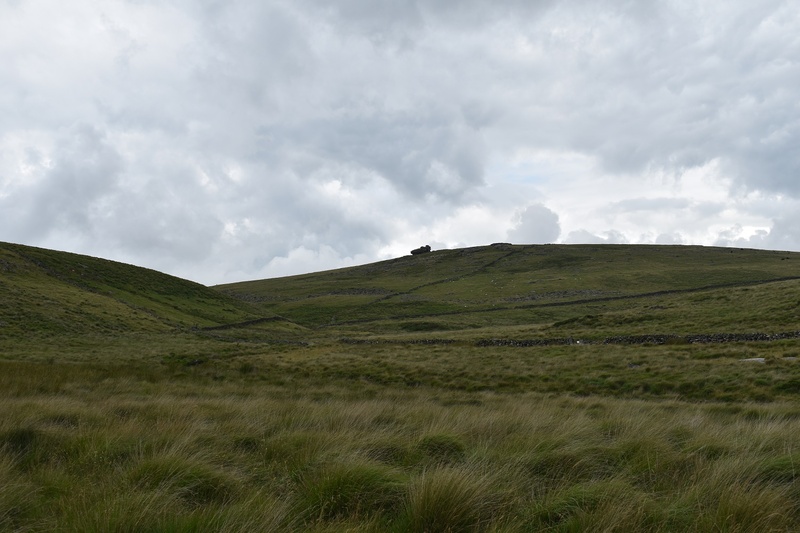 There aren’t too many easy ways of getting to this tor, however parking at Holming Beam and heading over Beardown Tor first is a reasonable approach. 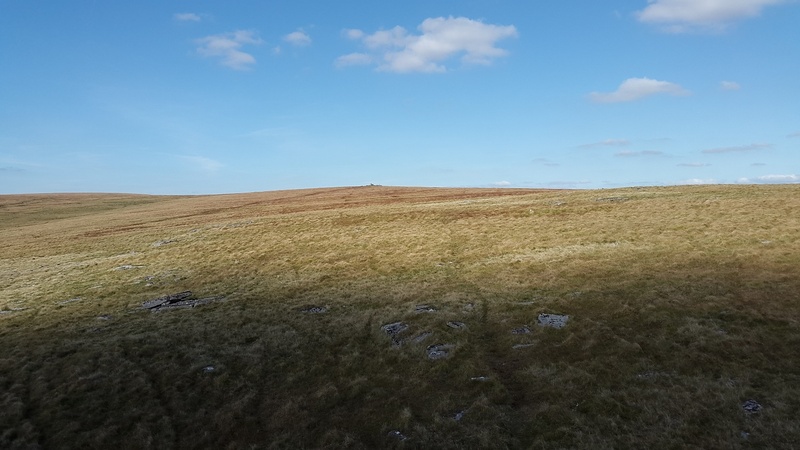 The other way is from Longaford Tor and joining the Lych Way before heading up. 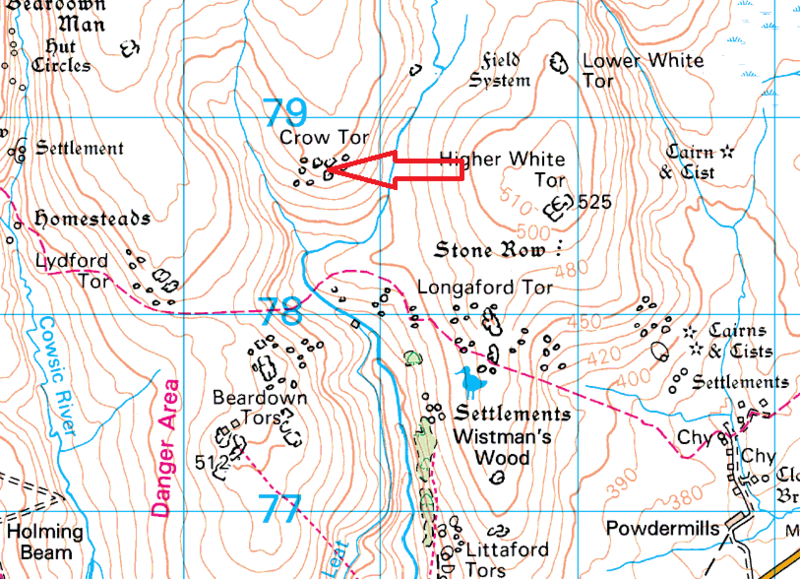 Crow Tor sits on the edge of the Merrivale firing range so obey any red flags in this area.